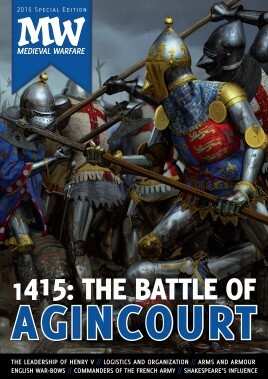 The 2015 Medieval Warfare Special issue is entirely dedicated - all 84 pages - to the Battle of Agincourt in 1415. It's like a normal issue, except it'll have more pages, more articles, more maps and more illustrations! Dirk van Gorp has a MA in ancient history from Radboud University, Nijmegen. He was the editor of Medieval Warfare magazine 2011-2015.